CY is a professional high-tech enterprise dedicated in the development and sales of wireless RF modules and sales of RF IC. The products are widely used in automotive electronics such as RKE/PKE, security, home automation, wireless remote control, remote control socket, wireless power switch and other consumer electronics. By adapting the international advanced RF and digital signal processing technology, our products are well recognized with longer transceiver distance, better reliability, ease of use and cost-effective when comparing with similar products at home and abroad. 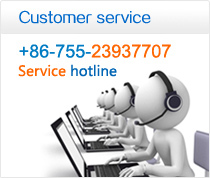 CY serves the market also by offering high quality OEM and ODM services. We represent a one stop shop for all customers and provide custom design to suit every customer’s personalized demand. The products have been exported to Europe, America, Southeast Asia and other countries and won good reputation from both domestic and foreign customers.